Bar code Data Systems (BCDS) Identification Technologies is a provider of data capture solutions. 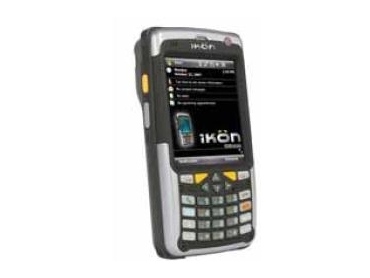 BCDS Identification Technologies now supplies Ikon rugged PDA from Psion Teklogix for portable data capture. Ikon rugged PDA packs good functionality and flexibility into a compact form factor with class-leading ergonomics, aesthetics and ease of use. Combining an integrated imager or scanner with the standard colour camera, Ikon rugged PDA is a ideal data capture device. Fully integrating voice and data communications eliminates the need for multiple devices - reducing capital expenditures as well as support costs. Ikon rugged PDA delivers anytime, anywhere, wireless voice and data communications with simultaneous WiFi, Cellular and Bluetooth connectivity options for real-time information management, improved efficiencies and increased asset visibility across the enterprise. With a full VGA display, Ikon rugged PDA is more suitable for complex applications with sophisticated graphics. Finally, a high battery capacity ensures full-day productivity for mobile workers.